If you’re a local business trying to drum up new business online, local search has always been a big deal. In recent years, however, local search on mobile has become an even bigger deal. A couple of years ago, Google released the “Pigeon Update.” This update changed how local search results were calculated in a variety of significant ways to bring local search results into better alignment with traditional web search results. Around a year later, Google announced that mobile searches outnumber desktop searches and began including mobile-friendliness as a ranking factor for mobile search. 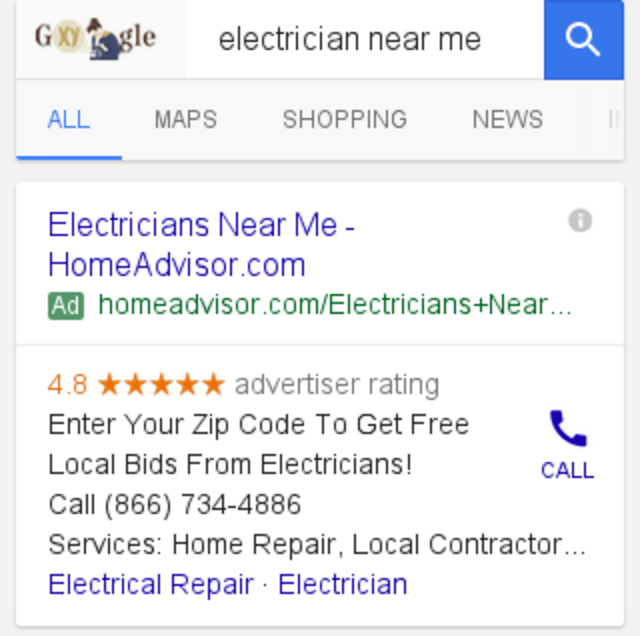 This year, Google rolled out Promoted Pins, which give advertisers more ways to win with local search on mobile. Let’s face it, mobile users are very different from desktop users. Desktop computers are very location-based—most people only use them at work or at home. So, if someone is searching locally on desktop, they’re probably not planning on visiting in the next 15 minutes. Sure, there’s probably value to their search. They could could be planning a vacation in your area, making dinner plans or checking to see what’s available in their area. Odds are, though, that they aren’t planning on heading right over to your business. In contrast, local searches on mobile devices come with immediate intent. Almost no one pulls out their phone and does a search for “restaurants near me” as part of their romantic getaway planning. People search locally on mobile because they need something now! If you want to win at local search on mobile, it’s important to address the immediacy of that need. They want it now? Give them a way to get it now! Now, let’s get into exactly how you can give people the immediate solutions they crave. If you’re looking for info on the basics of local search (building backlinks, managing your reputation, claiming your business listings, etc), I’m going to refer you to this excellent article. Let’s be honest, phones are a pain to type on. 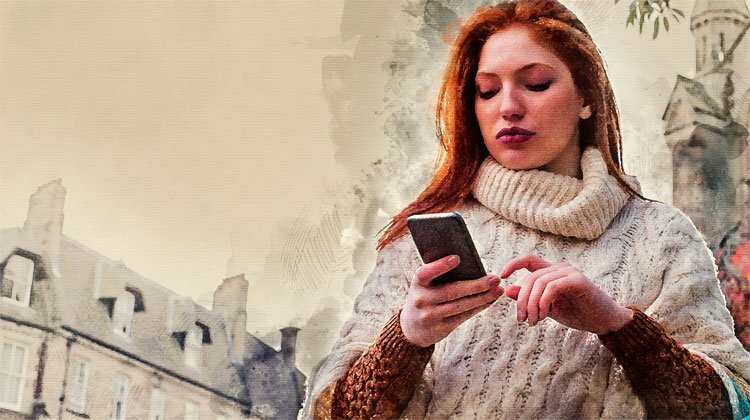 As a result, people avoid lengthy searches, which makes optimizing for long-tail keywords somewhat useless when it comes to local search on mobile. Instead, it’s best to optimize for shorter keywords and phrases. That’s all your audience is going to use anyways. Similarly, your landing page needs to be focused on providing an ideal mobile experience. As with desktop SEO, identifying the right keywords for your local search optimization will take some research. You can use a variety of keyword planning tools to get started, but keep in mind that those tools aren’t designed for optimizing for mobile. If you happen to be running paid search ads, you can get at mobile-specific information by using your Search Terms report. Just open your AdWords account and click on Keywords. Then, click on Search Terms and then click the Segment dropdown menu. Select Device. The resulting list will show you exactly how people are finding your ads on mobile. Unfortunately, unless you are running ads for local searches (which we’ll get into later), these queries still only reflect how people find your ads, not how they find your business. To bridge this gap, try asking people (preferably customers or potential customers), “What phrase would you type in to find [whatever it is you want to be found for locally].” Combine that data with the findings from your keyword research and you should be able to identify some great mobile keywords to focus on. Once you’ve identified your target keywords and phrases, it’s time to take a look at the pages you want to rank well for local search on mobile. On desktop, more text is typically viewed as better. It tends to rank higher and can even produce higher quality conversions. In fact, when we’ve tested content on mobile, shorter content has a better time-on-page and—more importantly—an 83% better return-on-investment. 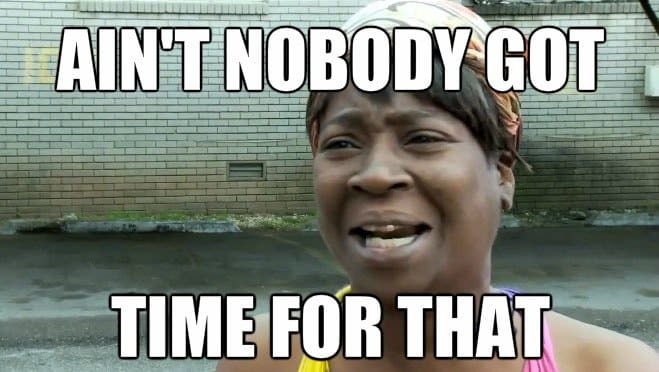 So, when it comes to mobile, shorter content is better. This presents a bit of a conundrum for page optimization. On the one hand, you want to provide all of those keywords that make the Google bots happy. On the other hand, you want your page to be a good fit for your mobile searcher’s needs. Which should you prioritize? Well, since the goal here is to optimize for mobile, if it comes down to UX vs GBX (Google bot experience), optimize your UX first. Google appears to be putting a bigger emphasis on the on page experience, so if you page makes your searchers happy, it’ll probably make Google happy too. In addition, since we’re optimizing for local search, your name, phone number and address should be on your header, footer, sidebar, or some other element of your site that shows up on every page. After all, if Google doesn’t have an address or a phone number, how will the bots know which local searches you should show up for? Load time matters on mobile. Yes, people are more patient on mobile than desktop, but half of mobile users still expect a page to load within 10 seconds and 19%will give up if your site takes more than 5 seconds to load. Remember, your mobile audience wants their problem solved fast. So, if your page is too slow for their needs, you’ll lose their business (to check your mobile load times on a variety of devices, click here). Overall, when it comes to optimizing for organic local searches, the key is to keep in mind how and why people are searching. If you address both of those factors, you’re well on your way to success. As nice as organic traffic is, there are a few inherent limitations to an organic-only strategy. Part of the problem is the fact that your keywords are shorter. Shorter keywords have more competition, which can make it hard to rank well organically. If someone is searching local, odds are that they are looking for results that “feel” local. In other words, they are looking for ads from companies that appear to be in their area. For example, if you live in an older home in Austin, Texas and your fuse box suddenly bursts into flames, there’s a good chance you’ll grab a fire extinguisher, holler “Okay Google, find an ‘electrician near me'” at your phone and start fire fighting. Seems like a decent ad, right? But here’s the thing, you’re in an emergency. You need help now! (coming full circle here, aren’t we?). You don’t have time to enter your zip code and wait for “Local Bids From Electricians”! Even if you get said bids in a timely manner, this is clearly an ad from a big company, who knows how “local” (or available) your electrician will be. Which company are you more likely to call? Of course, not every client is going to be in an emergency situation, but the fact of the matter is, people who are searching for a local business are looking for results that are clearly local. The best way to do this is to put your location in your copy by breaking out your campaigns by the locations you want to mention or use dynamic keyword insertion to add the location to your copy. This will take a bit of extra work, but it will make your ads much more relevant to your potential customers. Location Extensions. Obviously, these are a must for local search. People are looking local, location extensions show how local you are! Sitelinks. Sitelink extensions allow you to highlight specifics from your site like “call us” or driving directions. Call Extensions. Call extensions are designed for mobile, but they are particularly useful for mobile search—especially if people like to call in advance. Click-to-Call Ads. Along the same lines, if people routinely call your business in advance, click-to-call ads can be a great way to make it easy to call you (to check the wait time at your restaurant, perhaps?). If you aren’t currently using mobile ad extensions on your local search ads, try adding a few and see how they affect your results. Promoted Pins are a very new addition to Google Maps, but they offer an exciting new way to improve the visibility and accessibility of your business in local searches. Essentially, Promoted Pins put your logo right on the Google Map. This is awesome if you have a recognized brand, but even if you’re still relatively unknown, it can be a great way to stand out from the crowd. As you can see in the image above, Google also gives you the ability to add in-store promotions as well as a “search local inventory” feature to your Promoted Pins. One-third of online searches turn into a purchase at a brick-and-mortar store, so these features can be a great way to get more people to pick your business over the competition (for more information about Promoted Pins, check out this blog post). If you want to win at local search on mobile, you need to know how to address the specific needs of your mobile traffic. They want easy solutions—make your business the easiest option available! By the way, if you’d like me to take a look at your current local search strategy and give you some suggestions on optimizing for mobile, let me know here or in the comments. I’d love to help! 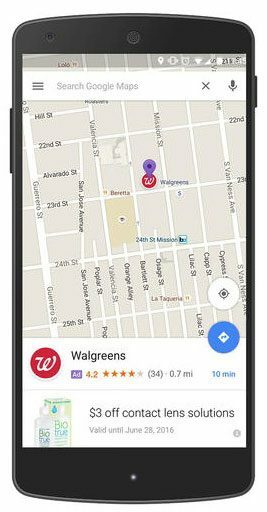 How do you optimize for local search on mobile? Are there other paid search or organic strategies would you recommend?